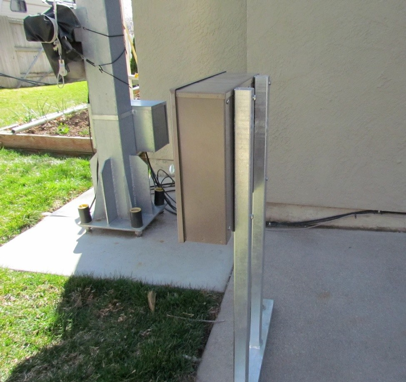 Concrete box mount on concrete near tower, awaiting wiring. 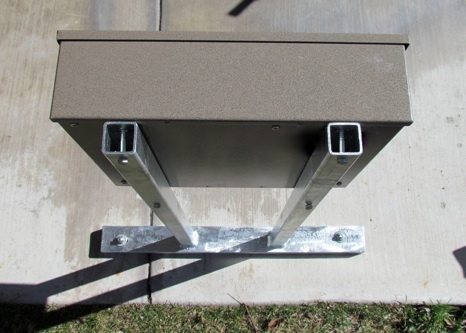 Attaching to concrete is very easy. Using fixture as template, mark two holes and drill with 1/2” hammer drill. 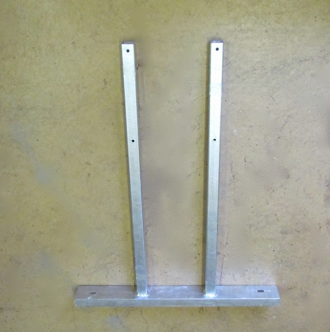 Put expansion bolts into holes, set fixture over bolts, and tighten. Bolts are available at most big box hardware stores or other hardware/bolt retailer. Ordering box and mount at same time means both are matched and come with mounting hardware. 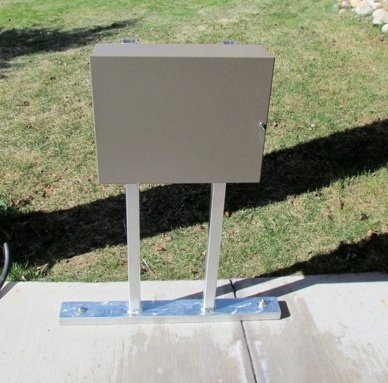 Now offering strut channel to help secure and manage cables. 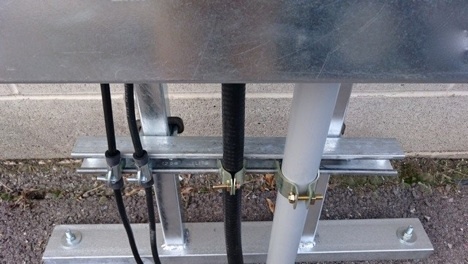 Above photo shows two RG8 sized coax cables protected with a foam sleeve and securely clamped to a length of strut channel which is attached to Concrete Mounting Fixture. Next to the coax is 7/8” hardline (center), and 1.5” conduit (right).